Engineered hardwoods come in a variety of styles, such as long-strip hardwoods in which the flooring can be installed several “planks” at a time. Parquet floors are also engineered with strips of hardwoods laid like tiles that form patterns such as herringbone. Floating floors are planks that fit together and can be glued or nailed down to the sub-floor. 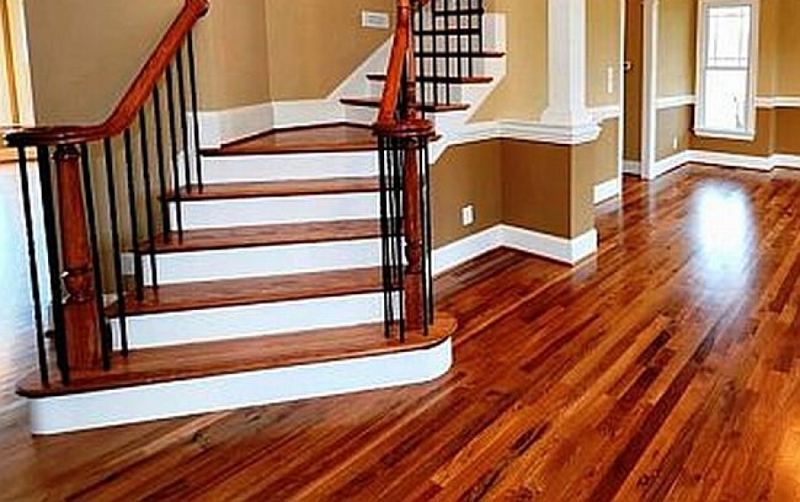 Keep in mind that unfinished floors must be sanded, stained and sealed on site, which is labor intensive, time consuming and messy as you wait for each layer to dry. Factory finished floors are usually warrantied, they can be installed immediately which saves time and labor, and only the glue to the sub-floor has to dry.